On December 22, 2017, President Trump signed the Tax Cuts and Jobs Act into law, which makes a number of changes to the federal tax laws. 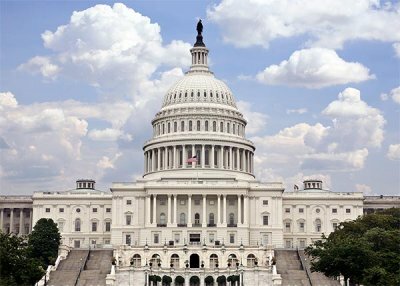 Notably, the Tax Cuts and Jobs Act increases the federal estate and gift tax exemption to $11.2 million per person (or $22.4 million for married couples). The increased federal estate tax and gift tax exemption generally means that an individual may, during life or at death, transfer assets with value up to $11.2 million free of gift and estate taxes. The new estate and gift tax exemption applies to individuals dying or gifts made after December 31, 2017. The new law does not affect the gift and estate tax rates. All transfers subject to gift or estate taxes will be taxed at a flat rate of 40%. The generation-skipping transfer tax ("GST") exemption that applies to transfers made to persons a generation or more below the donor (e.g., gifts from grandparents to grandchildren) is also increased by the Tax Cuts and Jobs Act. 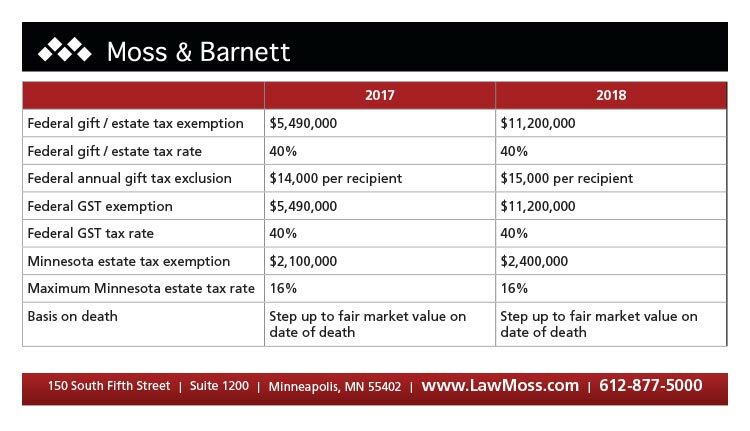 Despite these changes, Minnesota residents remain subject to Minnesota estate tax laws upon their deaths. As of January 1, 2018, the Minnesota estate tax exemption is $2.4 million, meaning that assets transferred after a person passes away having a value in excess of $2.4 million may be subject to Minnesota estate taxes and taxed at a maximum rate of 16%. Gifts with a value greater than the annual exclusion that are made three years prior to the death of the donor will not be subject to Minnesota estate tax upon the donor’s death. Although not directly affected by the Tax Cuts and Jobs Act, for gifts made after December 31, 2017, the annual gift tax exclusion will increase to $15,000 per person. In light of the changes to the estate tax laws, this is a good time to review your estate plan to determine whether changes are needed. Please note: The Tax Cuts and Jobs Act is over 1,000 pages long. We can provide only a short summary of a few highlights here. Other provisions of the Act may have a material impact on you.